It all goes to make this tidbit intriguing: "Are those geysers on Saturn's moon running out of steam? The geysers on Saturn's sixth-largest moon, Enceladus, seem to be blasting out less material than they did 10 years ago, and nobody knows exactly why." Speaking of extraterrestrial life, wouldn't the discovery of intelligent ETs with super science be awesome? The star boringly identified in a sky survey as KIC 8462852 turns out to have very anomalous light output. Exoplanets are sometimes revealed as they transit the face of their suns -- such crossings causing slight, periodic dips in starlight seen here on Earth -- but KIC 8462852's light anomalies are nothing like that. For a short while, people theorized massive structures orbiting that star (a ring world or Dyson sphere under construction?) might account for the odd observations. Then it was theorized that huge swarms of comets (and, perhaps, collisions among them), not purpose-built structures, might be blocking the light. And now, it seems, the star is more bizarre still: a review of old observations shows KIC 8462852 has been dimming for decades! (Shades of the On-Off Star of Vernor Vinge's A Deepness in the Sky). See: "Comets can’t explain weird ‘alien megastructure’ star after all." We're all taught young that planet means wanderer. But stars aren't fixed, either -- they just seem that way because they're so distant. Now we have a new way to spot peripatetic stars: "Bow waves betray dozens of runaway stars." That's cool in its own right -- and doubly cool for a personal connection. The prologue of Fleet of Worlds, the opening few pages that led, ultimately, to five popular novels, is kicked off by the discovery of bow waves revealing a world speeding between stars. 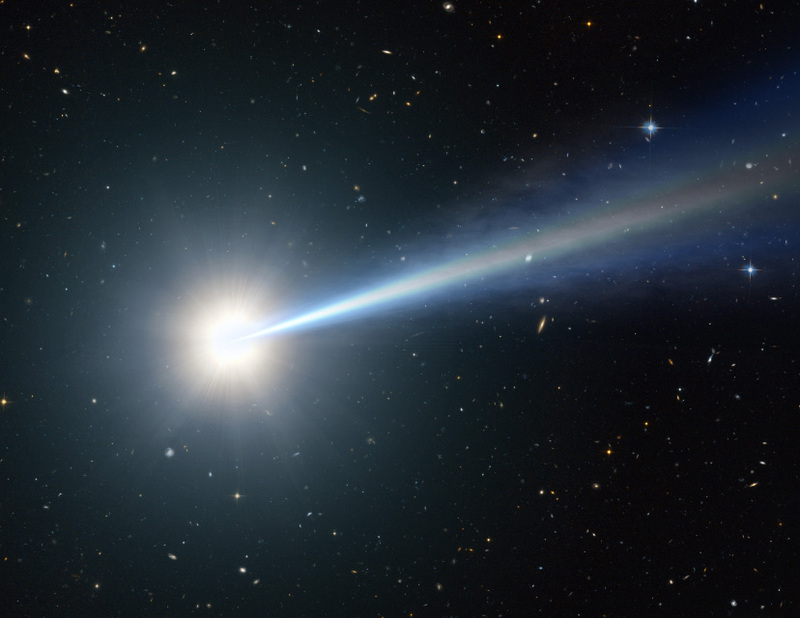 If ordinary stars on the prowl seem cool, consider "The case of the missing quasar." A quasar (quasi-stellar radio source), you may recall, is among the most powerful energy sources in the Universe. You might not have supposed a quasar could go missing. And this one isn't missing as much as -- or so astronomers infer -- it has suddenly gone dormant. If you suppose one black hole is keen, how about two? How about two of them colliding? The Theory of General Relativity predicts that such cataclysmic events will distort space-time itself, producing what are called gravitational waves. The waves, after propagating across vast distances, would be extremely faint when they reach our neighborhood; no such waves have ever been detected. Cosmologist Lawrence Krauss recently started a rumor that gravitational waves have been detected -- with the particular characteristics of two stellar-mass black holes colliding -- and that an official announcement is imminent. Investigators associated with aLIGO (the Advanced Laser Interferometer Gravitational-Wave Observatory) say, "not so fast." 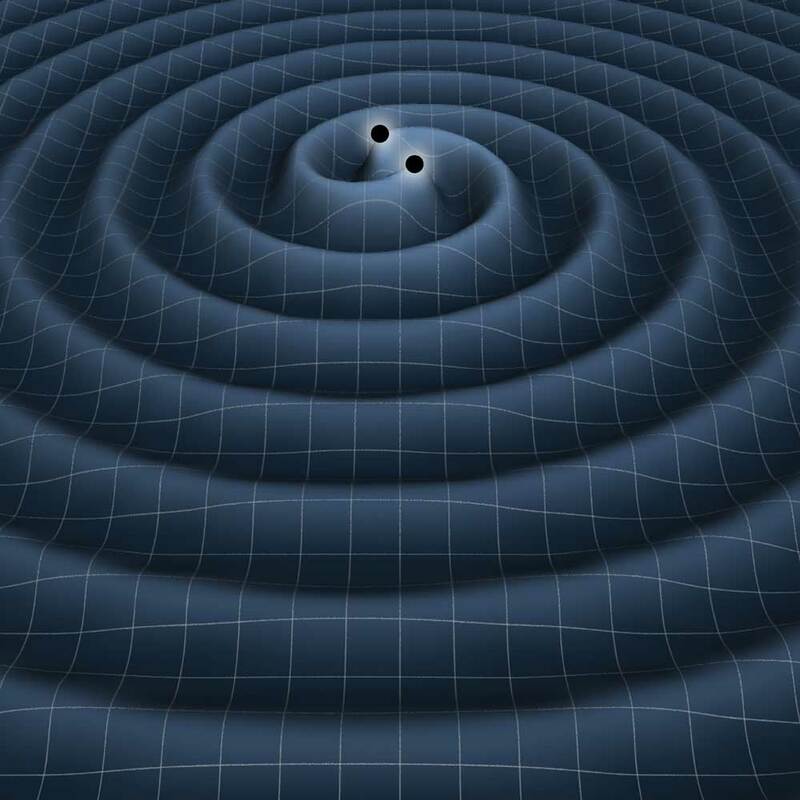 See: "About the LIGO Gravitational-Wave Rumor." And stay tuned. About The LIGO Gravitational-Wave Rumor. . .